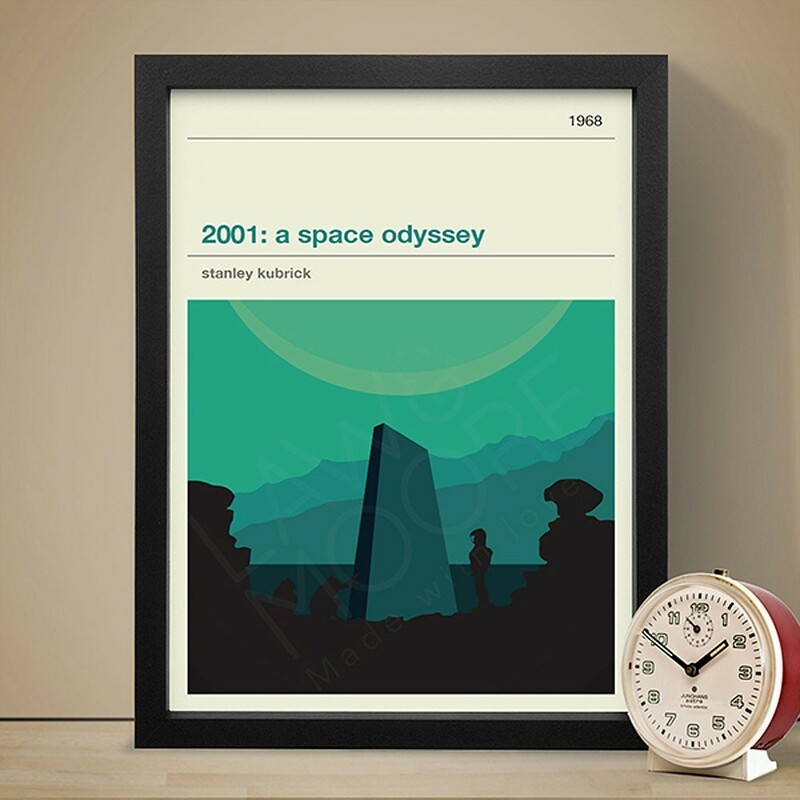 Prepare to take a trip beyond space and time with the 2001: A Space Odyssey Art Print! This minimalist print takes one of the most iconic images in film history of the man-apes’ discovery of the Alien Monolith that carves their path to sapience. This retro-style poster looks like something you might find on a cover of a pulp novel in the 60s, giving it a design-lead presentation that is sure to compliment your interior. This unique design is printed on high quality 230gsm silk paper and comes carefully protected in a cardboard tube. This is available in A4, A3, A2 and A1 sizes.